Friday Smile – Lazy Elephant’s guide to drinking water!! These photos were taken at the Elephant Nature Park, Thailand in 2012. The bonds between the elephants and mahouts are very special indeed, and this cheeky elly enjoyed a bit of fun whilst drinking her water, served by her mahout via a hosepipe !!! Do not try this at home !!!! I’m just on the verge of saying farewell to the family house. If I could have lifted the garden wholesale and planted it in our own back garden I would have gladly done so, but sadly that’s not very practical and instead I’ve just taken a few plants as a happy reminder. Something I have done, however, over the last year is to take lots of photographs. Unfortunately, 2016 has been the year of the incessant breeze / wind, and even with a tripod it would have been difficult to get a crisp picture of the flowers!! At some stage I shall probably include more of my photos, but I have just included three which include shadows. 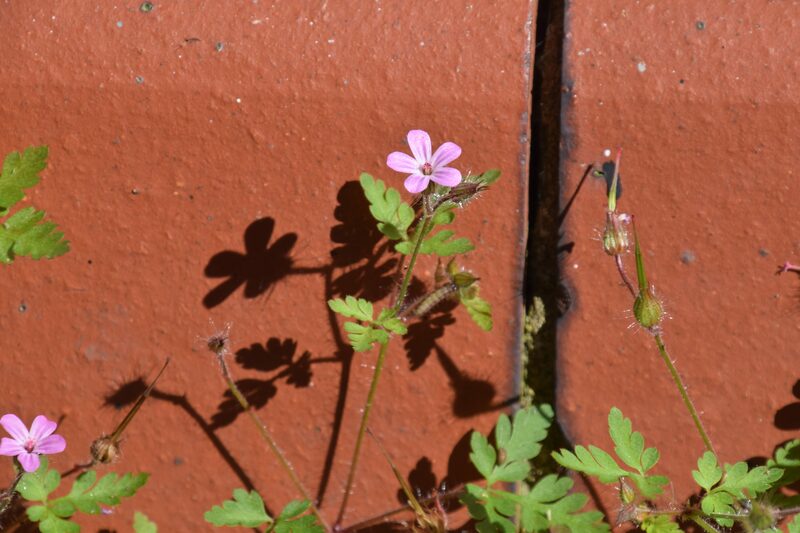 The first is Herb Robert, a cheeky little plant which has taken up residence on the back doorstep. 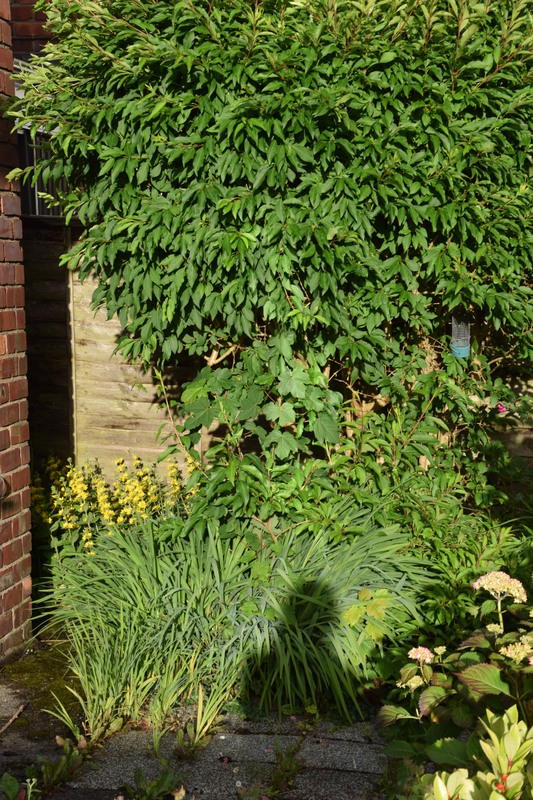 The second is a shadow selfie of me taking the Forsythia. 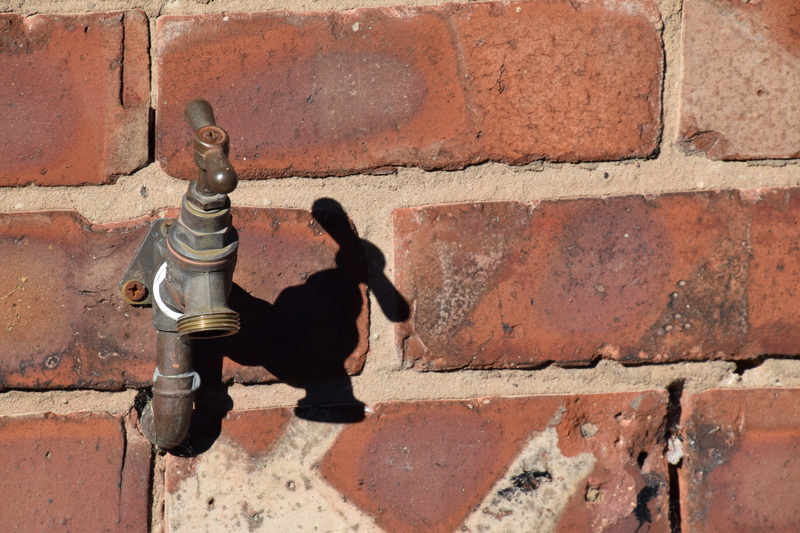 Lastly, the tap which has served the garden well over the past 56 years. Whatever one’s beliefs, it’s difficult not to feel at peace in a beautiful garden. It has definitely been a haven for me over the last year. Each of my photos was taken in the late afternoon sun, a glorious time of day, and a reminder of the yin-yang nature of life, that light and dark sit side by side. A bain-marie, otherwise known as a double boiler or water bath, is a piece of kitchen equipment used to heat foods gently or to keep them warm. Typically it is used to keep sauces warm or to melt chocolate. The idea is that the food itself does not come into direct contact with the heat. An example is simply a glass or stainless steel bowl containing solid chocolate, standing within a pan of water, which is either already boiled, or sitting over a gentle heat on the stove. The heat from below gradually melts the chocolate without burning or clumping it. Recently, I came across this beautiful example of a country house steam bain-marie at Petworth House, West Sussex (made by Jeakes & Co c1870). This illustrates the idea of it being a water bath. It resembles a big metal sink with taps running into it (for filling with hot water), and out (for emptying). The various saucepans would have held a variety of pre-made sauces which would have been kept warm for the appropriate dinner course. Place all the ingredients except the oil in a processor and whiz around until broken up. Then add the melted coconut oil. This should make a stiff paste. If not (e.g. if carrot is dry), add a little water. Can place in fridge for 30 mins to make easier to shape. Spoon out mixture and shape into balls. You should get about 18 – 20 small balls. You want to flatten each of these to about 3mm thick. Place a small piece of baking paper on top of a ball. Place a flat bottomed mug on top and press down to the required thickness. Alternatively, you can put the whole mixture straight onto the lined baking sheet, and roll out. To do this, use a large piece of baking paper; place on top of dough, then roll out. Divide up into “squares” using a knife. Bake for approx 10 mins each side. This makes soft textured biscuits. Allow to cool before removing. Store in an air-tight container. Happy trees seen at Milton Haven, Pembrokeshire, courtesy of some local yarn bombers!!! I’m lucky enough to be holidaying in Pembroke this week and have done a couple of walks along the coast, seeing lots of pathways. These two spoke to me. Why? The areas were less crowded than elsewhere (apart from the sheep – see below) which always helps me feel more at one with the world and with nature. I love the curves of these paths and especially the grassy steps of the first one. From below, there is no knowing what lies ahead, which gives a sense of wonder and magic. What fresh new vista or flower or animal could be captured on camera? Who’s been eating my cabbage? Whilst walking along one path, we were deliberating whether a wire was electric, and I suggested that perhaps it was in order to keep the sheep from eating the cabbage, only to look up and find a group of them slap bang in the middle of the field. Guess, that didn’t work !! Ha ha ! !